This is parts 1 and 2 of Rewarding Outcomes from Pushing Your Comfort Limits. Read parts 3 and 4. As a company, PRA deals with a range of serious and important topics. This story is not one of them. On its surface, this anecdote is about a motorcycle trip. It is really more of a saga: a tale of passion, commitment, heartbreak, struggle, failure and (ultimately) success. While you may not care about motorcycles like I do, you just may take away a connection to the work that PRA does or a saga of your own. 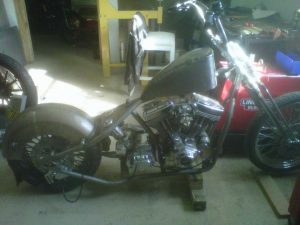 When I’m not busy building budgets at PRA, I build motorcycles. What does this mean? It means I buy raw materials and turn them into motorcycle parts, combine them with other parts that other people make, and wham—motorcycle. The next question I get most commonly is “why?” Simply put: there’s no explanation. 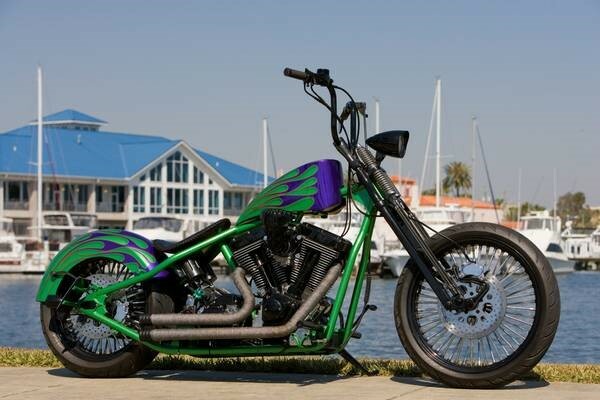 Motorcycle building is a soul craft. It’s something that resides inside of you and manifests itself through an elegant cacophony of sparks and metal shavings that result in a piece of artwork that goes 100 MPH. It doesn’t mean mastering one craft, but rather a multitude of skills and trades, some of which have been around since the BC days. Welder, machinist, designer, blacksmith, and mechanic all combine into one title: motorcycle builder. The skills I’ve honed have been 90 percent self-taught. After building my first motorcycle in college, I apprenticed with a well-known builder named Copper Mike Cole (known as Copper Mike because of his extensive use of copper). Following my yearlong apprenticeship, Copper Mike kept me on as lead fabricator and eventually his shop foreman. I was full time in the industry for about 3 years. Now, I work out of my own shop in Voorheesville on a part time basis, in addition to working at PRA. During my time in the industry, I had the opportunity to travel all across the country to various events and shows. From the Hamptons to Daytona Beach to Las Vegas and California. The one rally that I never went to was Sturgis, South Dakota. 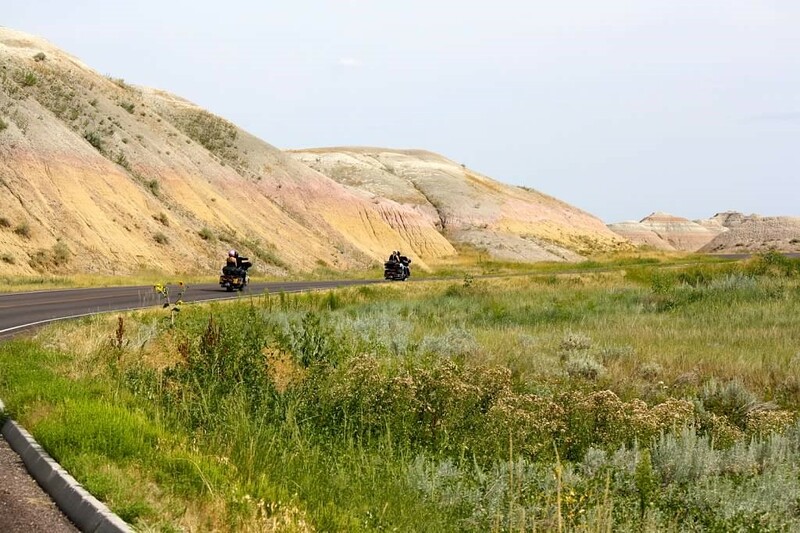 Unlike other rallies, Sturgis is known for the beautiful riding in South Dakota. It is near the Badlands, Mt. Rushmore, Black Hills, Deadwood, and the list goes on. The 2015 rally was meant to be a historic one since it marked the rally’s 75th anniversary. In October of 2014, a group of friends and I decided that we were going, no matter what. At this point I knew that 1) I was going to Sturgis in August 2015 and 2) my girlfriend, Kate, was coming with me. I own two motorcycles. 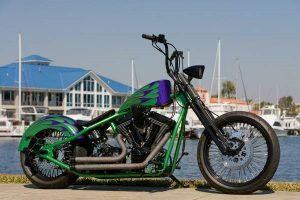 One is a 1-person bike known as a “bobber.” It’s a bike I built while I was apprenticing, and was featured in the July 2013 edition of IronWorks magazine (pictured above). It’s great for short distances, but not meant for long hauls. My other bike is an older Harley-Davidson. Comfortable, but not cool. It was clear that this was the bike I needed to bring. This left me with only one option: completely disassemble my perfectly good, running motorcycle, and rebuild it to be something magazine worthy. Why? Because you can’t put a price on cool. The “mock up” stage of the Cheatin’ Death build. Custom motorcycles are built in two stages: 1) Mock up: fabricate the entire bike to ensure proper fit and finish, take it all apart and have it painted (example in the picture above) and 2) final assembly: put it all back together and pray to God that you don’t scratch anything. I finished stage 1 of my new bike build in early June 2015 and got everything out to paint before I went on vacation in July. Due to my superior math/planning skills, I knew that this meant I would have about 2 weeks to put the bike together, test ride it, and put it on the trailer to Sturgis by Friday, July 31. Welp, I didn’t get all the pieces back until July 24th. This meant I had exactly 1 week, not 2. I didn’t dwell on the delay, but got to work. I had a schedule of working at PRA until 4:30, going directly to my shop, and working until I couldn’t keep my eyes open. It was going to be close, but I was determined to make my deadline.